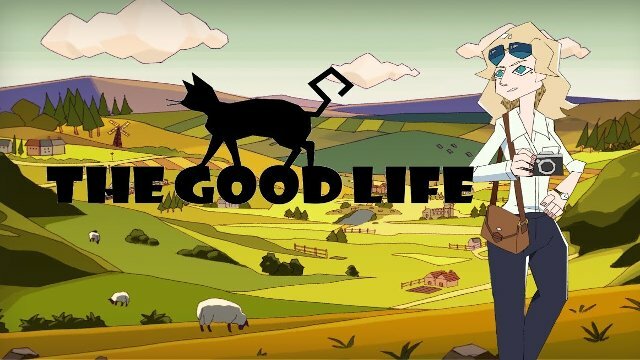 In spite of all the odds that said it was impossible, Swery’s The Good Life managed to hit its Kickstarter goal a few days ago. It was a result that many had hoped would win out, yet a fair few were not too sure that Swery’s quirky game would earn the money it needed to in order to make his game a reality. So, what’s the best way to reward his fans but by releasing the first story trailer for his upcoming game? The trailer really does well to capture the strange, English rural town that players will find themselves exploring as the protagonist. And while it doesn’t tell players that have kept up with the project that much more information, it does set the tone for what to expect from the game when it’s released. We’re just pleased that The Good Life really will become a reality this time. When Swery launched The Good Life’s first Kickstarter it failed, but this success just goes to show that hard work really does go a long way. That and fans who are determined to see that your project succeeds. If you’re interested in seeing how far the project has succeeded for yourself, take a quick look here. But where will Swery go, now that funding for The Good Life has been such a success? Well, the answer is, of course, working on a possible port for the Nintendo Switch. While the port that you can see on the Kickstarter page was only a small test, it does display the Switch has enough power to run Swery’s The Good Life if the port actually became a reality.